Rachel Corrie, ragazza pacifista statunitense di 23 anni, voleva impedire, facendo scudo col proprio corpo, che i bulldozer abbattessero le case dei palestinesi a Gaza. Viene schiacciata il 16 Marzo 2003. Canzone ispirata da una poesia che Rachel scrisse alla madre pochi giorni prima di morire. Le strofe in inglese sono cantate da Elisa. Si adagiò in traiettoria del Bulldozer di 9 tonnellate, disarmata e chiaramente visibile (portava un giubbetto fluorescente !!!). La ruspa guidata da un soldato israeliano, sotto gli ordini del suo comandante, la travolse. Il 16 marzo del 2003 Rachel difendeva con il proprio corpo non solo le sue idee ma anche il diritto della popolazione palestinese ad avere un’abitazione, una terra . 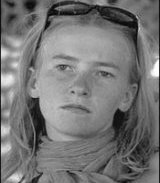 Rachel Corrie, a 23 years old American pacifist girl, wanted to forbid, using her body as a shell, the bulldozer to knock down the Palestinian houses in Gaza. She were crushed on Janury, 16th 2003. This song is inspired by a Rachel's poetry she wrote to her mother few days before her own death. And where their children grow. Non riesco a credere alla fine del mondo. Questa caduta verso la fine del mondo. questa caduta oltre la fine del mondo. 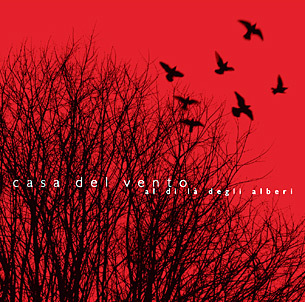 una poesia tradotta in una splendida canzone, bravissimi i ragazzi della casa del vento, anche per tutti gli altri brani che hanno scritto e cantato. Love you. Really miss you. I have bad nightmares about tanks and bulldozers outside our house and you and me inside. Sometimes the adrenaline acts as an anesthetic for weeks and then in the evening or at night it just hits me again – a little bit of the reality of the situation. I am really scared for the people here. Yesterday, I watched a father lead his two tiny children, holding his hands, out into the sight of tanks and a sniper tower and bulldozers and Jeeps because he thought his house was going to be exploded. Jenny and I stayed in the house with several women and two small babies. It was our mistake in translation that caused him to think it was his house that was being exploded. In fact, the Israeli army was in the process of detonating an explosive in the ground nearby—one that appears to have been planted by Palestinian resistance. This is in the area where Sunday about 150 men were rounded up and contained outside the settlement with gunfire over their heads and around them, while tanks and bulldozers destroyed 25 greenhouses—the livelihoods for 300 people. The explosive was right in front of the greenhouses—right in the point of entry for tanks that might come back again. I was terrified to think that this man felt it was less of a risk to walk out in view of the tanks with his kids than to stay in his house. I was really scared that they were all going to be shot and I tried to stand between them and the tank. This happens every day, but just this father walking out with his two little kids just looking very sad, just happened to get my attention more at this particular moment, probably because I felt it was our translation problems that made him leave. I thought a lot about what you said on the phone about Palestinian violence not helping the situation. Sixty thousand workers from Rafah worked in Israel two years ago. Now only 600 can go to Israel for jobs. Of these 600, many have moved, because the three checkpoints between here and Ashkelon (the closest city in Israel) make what used to be a 40-minute drive, now a 12-hour or impassible journey. In addition, what Rafah identified in 1999 as sources of economic growth are all completely destroyed—the Gaza international airport (runways demolished, totally closed); the border for trade with Egypt (now with a giant Israeli sniper tower in the middle of the crossing); access to the ocean (completely cut off in the last two years by a checkpoint and the Gush Katif settlement). The count of homes destroyed in Rafah since the beginning of this intifada is up around 600, by and large people with no connection to the resistance but who happen to live along the border. I think it is maybe official now that Rafah is the poorest place in the world. There used to be a middle class here—recently. We also get reports that in the past, Gazan flower shipments to Europe were delayed for two weeks at the Erez crossing for security inspections. You can imagine the value of two-week-old cut flowers in the European market, so that market dried up. And then the bulldozers come and take out people’s vegetable farms and gardens. What is left for people? Tell me if you can think of anything. I can’t. If any of us had our lives and welfare completely strangled, lived with children in a shrinking place where we knew, because of previous experience, that soldiers and tanks and bulldozers could come for us at any moment and destroy all the greenhouses that we had been cultivating for however long, and did this while some of us were beaten and held captive with 149 other people for several hours—do you think we might try to use somewhat violent means to protect whatever fragments remained? I think about this especially when I see orchards and greenhouses and fruit trees destroyed - just years of care and cultivation. I think about you and how long it takes to make things grow and what a labor of love it is. I really think, in a similar situation, most people would defend themselves as best they could. I think Uncle Craig would. I think probably Grandma would. I think I would. When that explosive detonated yesterday it broke all the windows in the family’s house. I was in the process of being served tea and playing with the two small babies. I’m having a hard time right now. Just feel sick to my stomach a lot from being doted on all the time, very sweetly, by people who are facing doom. I know that from the United States, it all sounds like hyperbole. Honestly, a lot of the time the sheer kindness of the people here, coupled with the overwhelming evidence of the willful destruction of their lives, makes it seem unreal to me. I really can’t believe that something like this can happen in the world without a bigger outcry about it. It really hurts me, again, like it has hurt me in the past, to witness how awful we can allow the world to be. I felt after talking to you that maybe you didn’t completely believe me. I think it’s actually good if you don’t, because I do believe pretty much above all else in the importance of independent critical thinking. And I also realize that with you I’m much less careful than usual about trying to source every assertion that I make. A lot of the reason for that is I know that you actually do go and do your own research. But it makes me worry about the job I’m doing. All of the situation that I tried to enumerate above—and a lot of other things—constitutes a somewhat gradual—often hidden, but nevertheless massive—removal and destruction of the ability of a particular group of people to survive. This is what I am seeing here. The assassinations, rocket attacks and shooting of children are atrocities—but in focusing on them I’m terrified of missing their context. The vast majority of people here—even if they had the economic means to escape, even if they actually wanted to give up resisting on their land and just leave (which appears to be maybe the less nefarious of Sharon’s possible goals), can’t leave. Because they can’t even get into Israel to apply for visas, and because their destination countries won’t let them in (both our country and Arab countries). So I think when all means of survival is cut off in a pen (Gaza), which people can’t get out of, I think that qualifies as genocide. Even if they could get out, I think it would still qualify as genocide. Maybe you could look up the definition of genocide according to international law. I don’t remember it right now. I’m going to get better at illustrating this, hopefully. I don’t like to use those charged words. I think you know this about me. I really value words. I really try to illustrate and let people draw their own conclusions. Finisce con una sconfitta la battaglia legale avviata in Israele dai genitori di Rachel Corrie, l'attivista americana di 23 anni schiacciata da un bulldozer dello Stato ebraico mentre faceva da scudo umano contro la demolizione di alcune case palestinesi. La morte della ragazza è infatta stata definita in ultima analisi "uno spiacevole incidente". Per la corte di Haifa, l'uccisione di Rachel è stato niente altro che un deplorevole evento che la vittima avrebbe potuto evitare, perché consapevole dei rischi cui andava incontro. Il tribunale distrettuale di Rafah ha così respinto la richiesta di indennizzo dei genitori, che avevano avviato un causa civile contro lo Stato israeliano, accusandolo di essere responsabile dell'uccisione della figlia e di non aver condotto un'indagine credibile.